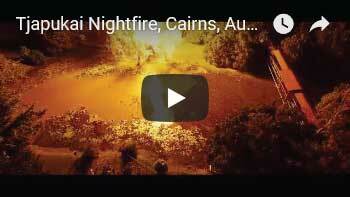 The colourful, sophisticated capital of the tropical north, Cairns city is alive with life and charm. Here, warm northern hospitality and enthusiasm are the order of the day. There are so many unique attractions and activities to see when you visit ...cruise to the reef or islands, take a safari to the outback, trek into the rainforest or see it from the rainforest cableway above its green canopy on your way to or from Kuranda. Listed by the World Heritage Society and acclaimed as amongst the world's most wonderful assets are the Great Barrier Reef and the Wet Tropics Rainforests. These year round natural attractions are truly memorable and inspiring. The Spirit of Freedom is located off of Australia's north eastern town of tropical Cairns. Cairns is Australia's gateway for two of the world's greatest diving icons, the Great Barrier Reef and the Coral Sea. The Great Barrier Reef is a broad chain of 2,900 individual reefs and is the Earth's largest structure built by living organisms, being clearly visible from space. It is an ecosystem of unsurpassed marine diversity and presents the diver with a vision of exquisite natural beauty. Beyond the continental shelf that harbours the Great Barrier Reef, lie the isolated reef systems and crystal clear waters of Australia's Coral Sea. This is home territory for huge schools of pelagic fish and sharks in an undersea world of mountains, pinnacles and sheer walls laced with gorgonian fans and rising from thousands of feet below. The live-aboard dive vessel 7 Day Trip departs Cairns 7:00am Monday and returns 8:00am the following Monday. Live-Aboard Diving Expedition includes: Transfers to/from Cairns city accommodation, Low level reef flight Lizard Island to Cairns, Opportunity for 14 to 16 dives, En-suite cabin with daily service, Chef prepared meals, Australian wine & soft drinks with evening meals. More than just a dinner and show; Tjapukai Night Fire takes you on a magical adventure into the legends of Australia's dreamtime. Here you will enter another world as Australia's Aboriginal culture is brought to life through a series of award winning performances as you feast on modern cuisine from the Far North. Settle in for a magical night of entertainment as you journey into a Dreamtime legend to discover the magic of Australia's ancient Aboriginal culture. Enjoy a welcome drink on arrival before the performers lead a didgeridoo blessing ceremony followed by a spectacular fire performance and cultural dance celebration. If you're keen, you can even take to the stage to learn a traditional dance yourself! This evening of entertainment is complemented by a delicious dinner, photo opportunity with the Tjapukai warriors & even time to shop in the retail gallery full of authentic souvenirs. With so many activities available The Esplanade has always been a focal point for this city. This is a place that literally has everything! Take a stroll and do some bird watching on the boardwalk but as you enjoy the views don't forget to stop off at Foreshore Promenade for a bite to eat at the many available restaurants. Access to The Lagoon is easy here which is set overlooking the Barrier Reef and Trinity inlet and features all year free swimming where you can take a dip in this filtered saltwater lagoon. Let the kids can play in the sandy edges and in the shallow waters while you lounge on the semi-shaded timber decks. For the kids, don't miss out on the Trinity Bay foreshore playground "Muddy" with equipment for all ages. For the older kids, stop off at the Skate Park to see some skaters and BMXers in action! Whether you decide to take a morning jog, fly a kite or just relax in the large grassy areas for some lunch you will surely enjoy the tropical lifestyle! If you happen to be in Cairns on a Saturday be sure to check out the Weekend Markets which feature only locally made arts and crafts, clothing and much more. While you're there listen out for the live music and fun street characters. The market gets into full swing on the promenade (just by the lagoon) every Saturday between 8am - 4pm. Days 2 & 3: These two days are spent diving at the most northern of the Ribbon Reefs, Number 9 & 10 Ribbon Reefs, 120 miles to the north of Cairns. You will dive at the Cod Hole, where you encounter a family of massive and very friendly Potato Cod. Other sites may include Wonder-wall, Pixie Pinnacle, Challenger Bay, Two Towers, Lighthouse Bommie, and the Snake Pit, just to name a few. 4 to 5 dives will be available each day, including a night dive on Day 2. On Day 3 you will overnight at beautiful Watson's Bay, Lizard Island, and enjoy a sunset BBQ dinner on the top deck. Days 5&6: Osprey Reef. Australia's Coral Sea reefs are renowned for crystal clear water with average visibility in excess of 100 feet. Two days can be spent diving at Osprey Reef, including North Horn, well known for its shark action. You can expect to see grey whalers, silvertips, reef sharks, occasional hammerheads, schooling barracuda, trevally, and other pelagics. The landscape is amazing with sheer walls laced with gorgonians, sea whips, and bright yellow soft corals, rising from thousands of feet below. Day 7: After overnight travel back to the Great Barrier Reef we arrive at Ribbon Reefs Number 3 where we will dive such sites as the sensational Steve's Bommie, Temple of Doom, and Flare Point. A second option for this day, in special weather conditions, is to head south from Opsrey to Bougainville Reef, known for its unusual underwater landscape or caverns, and its partially submerged wreck. On Sunday evening we will cruise overnight back to Cairns. Developed by Dragon Eye Design.